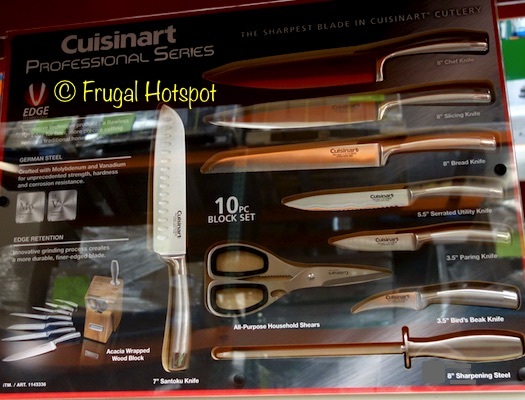 This cutlery from Cuisinart uses V-Edge technology for finer, more precise cutting versus a traditional honed edge. 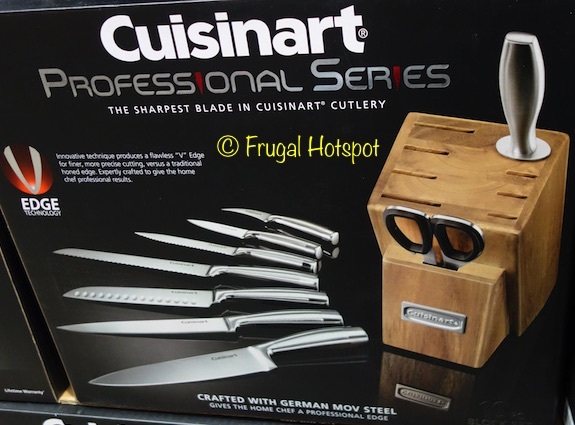 Select Costco locations have the Cuisinart Professional Series 10-Piece Knife Block Set on sale for $44.99 (after instant savings), from January 14, 2019 through January 27, 2019. 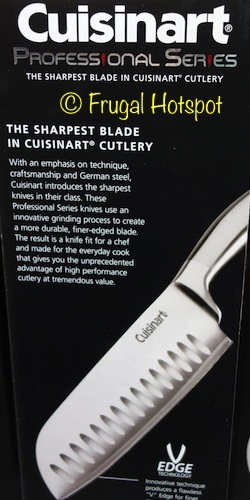 That is $15 off Costco’s regular price of $59.99. While supplies last. Price and participation may vary by location. Item #1143336. 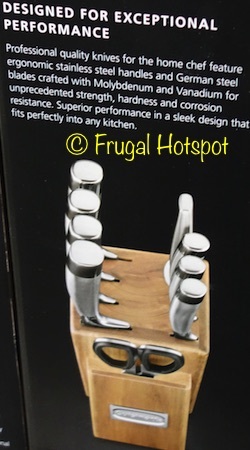 It’s available at costco.com for a very limited time, at a higher delivered price.